We have had some phenomenal Sunday meetings these past few weeks: regional conference and the re-dedication of the Ogden, Utah temple. The messages shared have uplifted and inspired me. They have touched and strengthened my family. 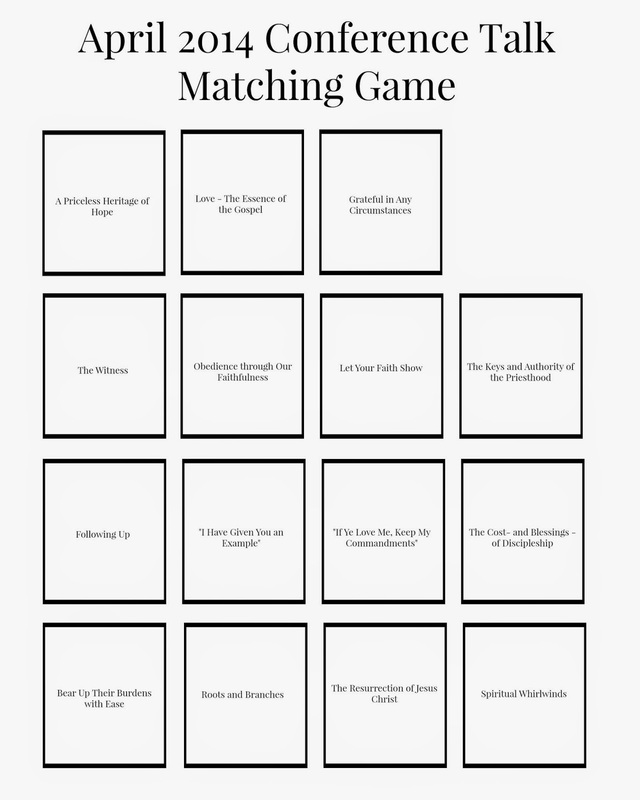 "How will we prepare for general conference?" Great question! And one that I felt merited discussion in family home evening. 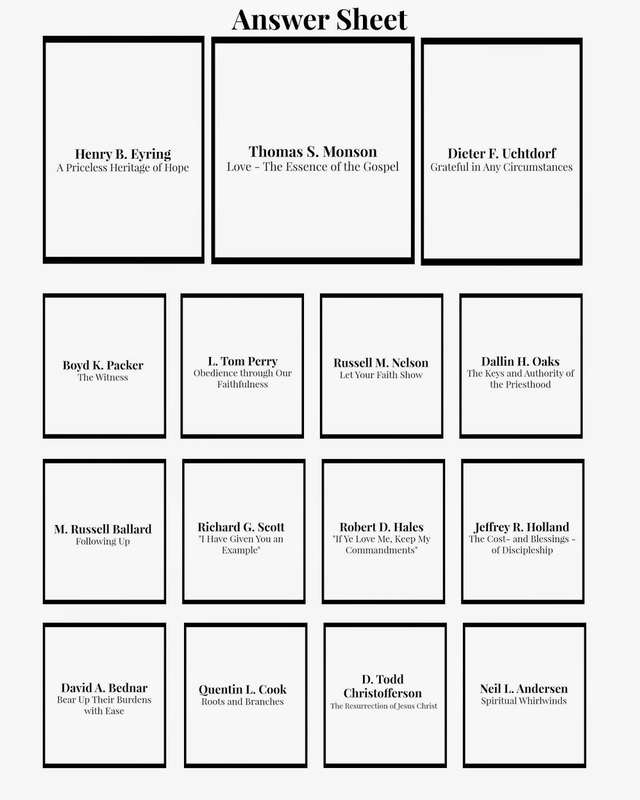 I then created a board that had the names of the talks given by each of these brethren in the April 2014 General Conference and cut out the squares. The goal of the game was to match the correct talk title with the person who gave the talk. It was an eye-opening experience for our family. I realized that the only talks I remembered were the ones that I had re-read. What a testament of the importance of revisiting and studying the messages! 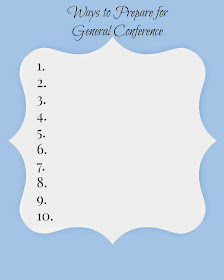 I then asked the same question that Sister Nelson asked, "How will we prepare for general conference?" 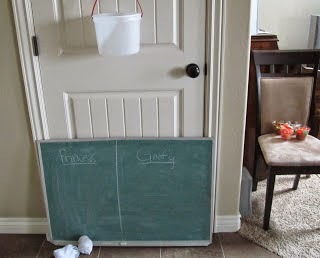 I gave each family member a paper where they could list ways to prepare for general conference (pictured above). We took time giving each other ideas and writing them down. 1. Go to bed early the night before to be awake and attentive. 2. Watch/re-read conference talks from the April session to prepare our minds. 3. Have paper and a pencil handy to write down things that touch you during conference. 4. Wake up early and turn on church music to invite the spirit. 5. Pray before each meeting for inspiration and the spirit. What ideas will you come up with? 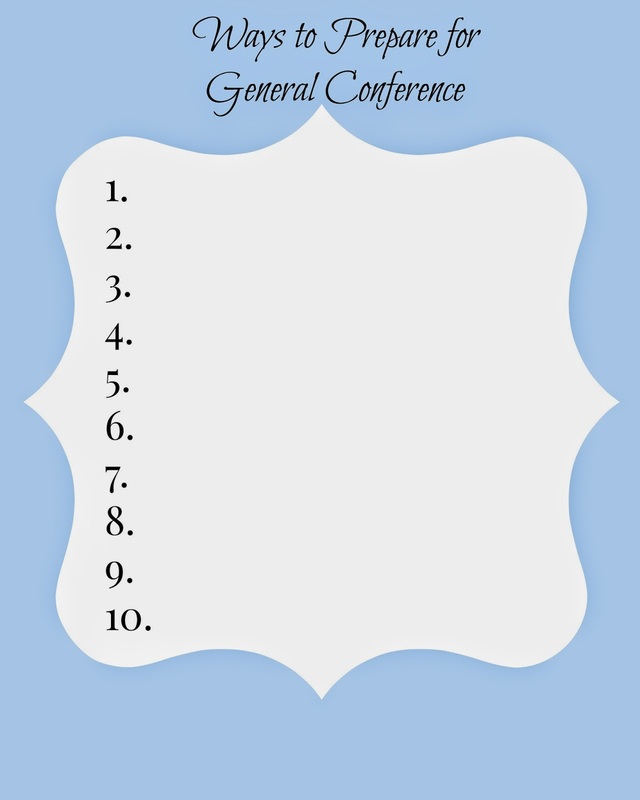 You can also print off the "Ways to Prepare for General Conference" sheet (above) to discuss ways your family can prepare. I challenge you to read a conference talk a day leading up to conference. 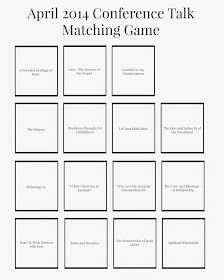 I will be reading right along with you! Leave a comment and let me know if you are in. Feel free to share your favorite quote and your thoughts from your conference study. 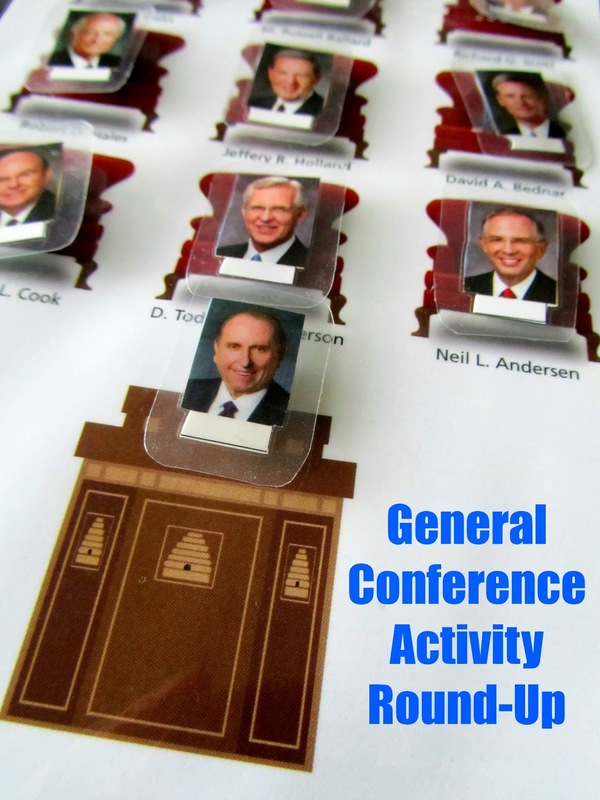 Check out my general conference round up activities in the religion section. 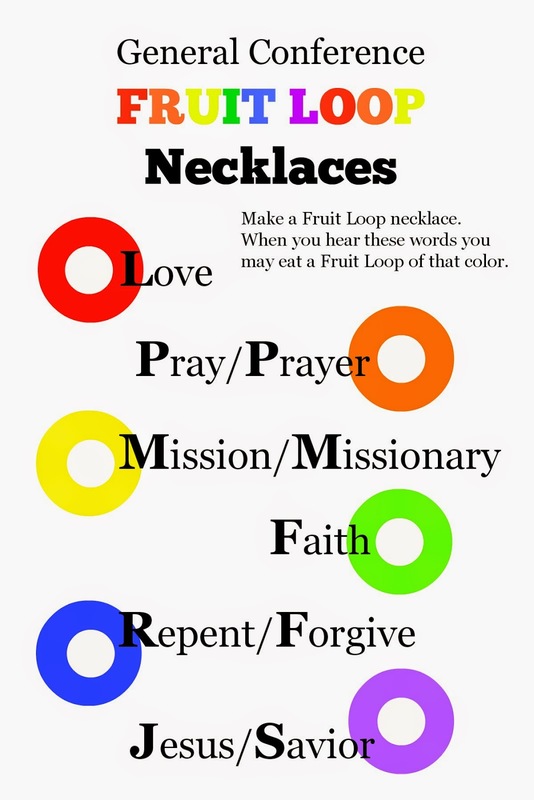 There are tons of activities that will keep the little ones entertained - fruit loop necklaces, conference basketball, 4 corners, and lots more. Hope that helps!